As per the research firm, Euromonitor reports, the market share of hot drink category comprising tea and coffee is 29.1 percent growing at the rate of 7.55 percent in India. In hot drinks tea represents 69 percent of total value followed by other hot drinks with 22 percent share and coffee 9 percent. India is the largest producer of tea and accounts for 28 percent of the global production at 956 million kilograms annually. The total turnover of the tea industry is over Rs 8,000 crore, growing at a rate of 1.2 percent annually. India is the world’s 5th largest producer of coffee, accounting for 4 percent of the world’s production. The hot drink category is compromised of products such as coffee, tea, hot chocolate drinks, hot energy drink supplements and others. 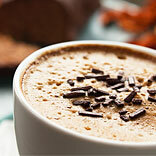 Last year, the hot drinks in India recorded a low single-digit growth rate in total volume sales. Though growth rates for “other hot drinks” and coffee were higher, the dominance of tea in hot drink sales served to restrict growth. Certain categories in hot drinks saw exceptional growth, either due to a health and wellness positioning or convenience of preparation. Due to consistent increase in commodity and raw material prices, hot drinks experienced substantial growth in off-trade unit prices last year. However, major players in the category such as Hindustan Unilever and Tata Global Beverages chose to absorb much of the increase in input costs in their quest to maintain volume sales. Several local small players were forced to shut down due to the continuously increasing input costs over the period of last year. Hindustan Unilever, GlaxoSmithKline Consumer Healthcare and Tata Global Beverages together accounted for more than half of value sales of hot drinks. Horlicks retained its status as the number one hot drinks brand in terms of value sales, followed by Tata Tea and Brooke Bond. Innovative product launches by the leading players kept them abreast of changing consumer preferences, and in some cases even opened up new consumer segments. Both Hindustan Unilever and GlaxoSmithKline Consumer Healthcare attempted to expand their rural presence by launching Brooke Bond Sehatmand and Horlicks Asha, respectively. Independent small grocers, or kirana stores, accounted for two thirds of volume sales in the hot drink category. With no significant dip in popularity among consumers, such stores managed to retain the confidence of all national hot drink manufacturers in selling their respective products. The traditional appeal of kirana stores reflects that of the most popular hot drink category: black tea. Though supermarkets/hypermarkets experienced a marginal rise in their share of volume sales, they are still far off from competing with kirana stores as the primary retail channel. Declines in share were experienced by forecourt retailers and convenience stores. Total volume sales of hot drinks are expected to see a marginally higher CAGR in the coming period of time than that seen in the last few years. Exploration of rural consumers as a major target segment will contribute to this rise. The relatively mature tea category will be driven by premium products which offer additional health benefits, while coffee will increasingly move towards the more expensive but convenient instant coffee format. On-trade sales through specialist outlets – coffee shops for coffee, and the slowly upcoming tea lounges for tea – will popularise these beverages further. Other hot drinks will see continuous growth as parents, especially in urban households, look for the best nutritional benefits for their children. The inclusion of adults in the age group targeted by other hot drinks also provides manufacturers with a tool to bolster growth in the coming years.